In this installment, the third in the series, we continue our journey eastward from Kingman to Amarillo for the International Route 66 Festival. The interstate highway would be much faster but for the proper frame of mind needed to get the most from such an event Route 66 is the only option. To run the gauntlet of traffic in Flagstaff is to experience Route 66 as it was when it served as the Main Street in every community along its course from Chicago to Santa Monica. In many communities along this storied highway there is little reward for this battle as vestiges of the glory days on Route 66 have been swept into the rubbish bin of history with the tide of urban sprawl but this is not the case in Flagstaff. Here you can check into the Wonderland Motel, 1956, grab a bite to eat at the Grand Canyon Cafe, 1940, relax from a day on the road at the Starlite Lanes that dates to 1957, and round out the evening with music and a night cap at the distinctive Museum Club, 1931. In Flagstaff the veil that separates the past and the present is quite thin. There are two Route 66 options when leaving Flagstaff, the newer alignment that date to the 1940s and the older alignment accessed via U.S. 89 that ends at Winona. I prefer the latter for a number of reasons one of which is the beautiful old steel girder bridge framed by stunning vistas. From Winona to Winslow, Route 66 is broken and is accessed in small doses. Still, there are a wide array of surviving remnants worthy of a stop or two; Meteor Crater, the haunting ruins of Two Guns, the ruins of Harry Locke’s Meteor Crater Observatory, and Meteor City to name but a few. The old town of Winslow seems to have two personalities. There is the hustle and bustle of the modern generic world that clings to the interstate and the dusty, well worn relics from Route 66 kept a river of traffic flowing through town day and night. Without a doubt the crown jewel in Winslow is the historic La Posdada, a former Harvey House built in 1929 that has been lovingly restored to present a delightful peak into an era when there was nothing dreary or boring about on adventure on the road or rails of America. Rooms and meals are at the upper end of the moderate price range but you should treat yourself with at least a lunch or coffee here to experience this wonderful gem. The next opportunity to experience a bit of nostalgia on Route 66 comes at exit 274. In a surprisingly short stretch of old highway are found a wide array of little surprises such as the Jack Rabbit Trading Post that dates to 1949 and that was once one of the most famous stops in eastern Arizona, the remains of the Old Frontier Trading Post that dates to 1927, and Joseph City. 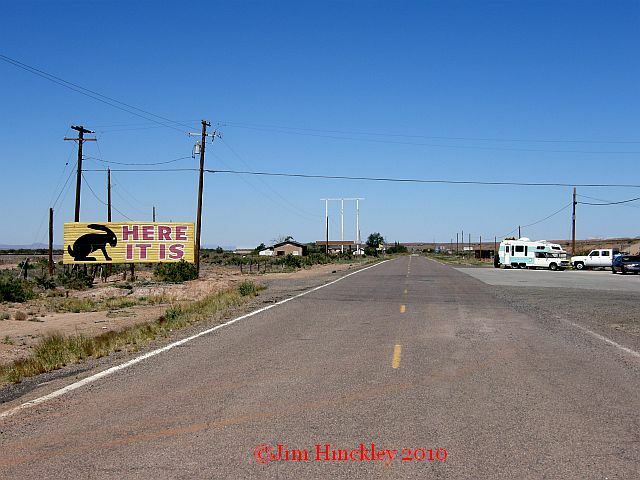 To cruise the Route 66, Hopi Drive, through Holbrook is to experience a town that has seen better times. Within twelve months of the I-40 bypass, forty-five businesses closed. Still, there are a wide array of “must see ” stops in Holbrook such as the Navajo County Courthouse, now a museum. 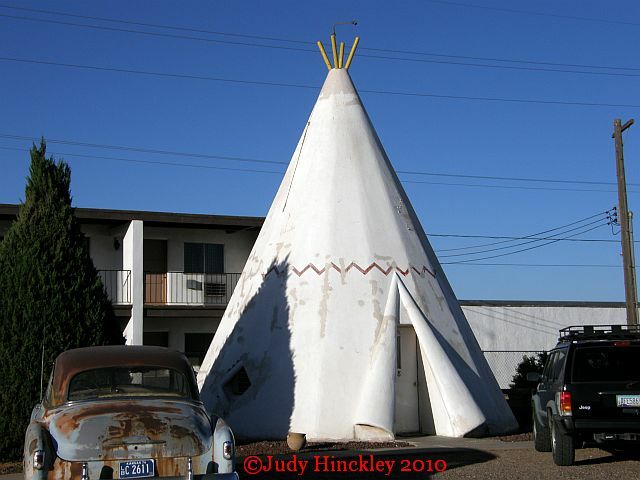 If time is limited there are two places that must be included in your Holbrook visit, Joe and Aggies Cafe operating at the same location, 120 West Hopi Drive, since 1965, and the iconic Wigwam Motel. 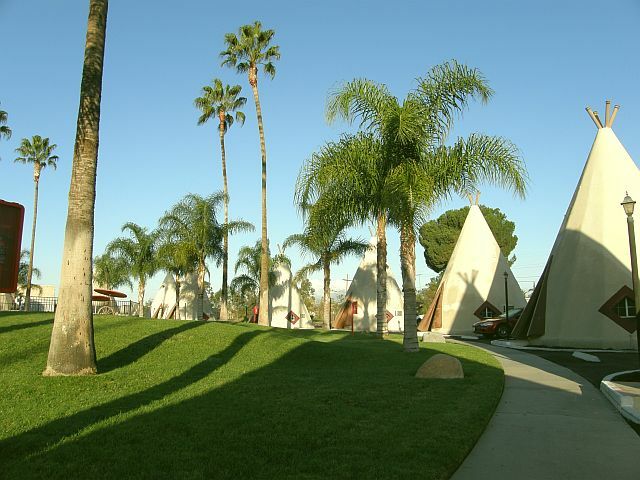 The Wigam Motel in Holbrook shares much in common with the Wigwam Motel in Rialto, California but the two properties are as different as night and day. The one in Rialto has been refurbished to appear as it was on opening day in 1949 with just a few modern amenities to break the illusion. The one in Holbrook is also a time capsule but of another kind. It represents the Route 66 of 1960 when motels such as this were a decade old. They remained clean and reasonable but were beginning to show the wear and tear of meeting the needs of travelers for more than 36,000 nights. In the next installment of our adventure we will enter the land of enchantment and confront the dilemma of choosing Route 66 pre 1937 or the last incarnation.